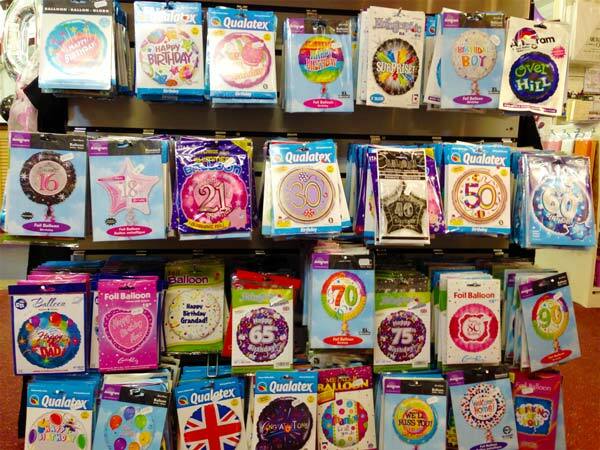 If you're looking for helium balloon decorations, you're going to be spoilt for choice at Balloons for all Occasions! We have thousands of every colour and design available! 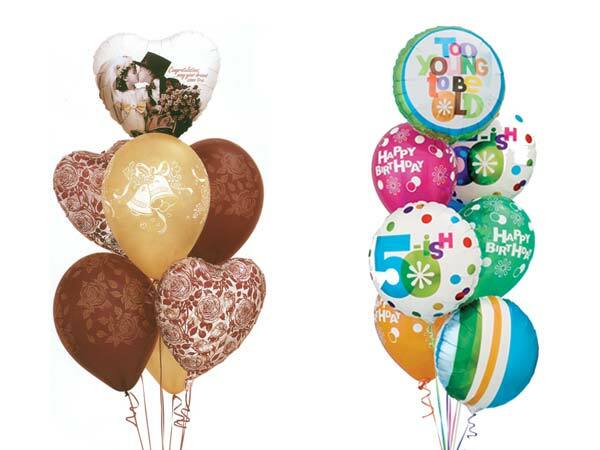 All our sets of balloons are made ready for you to put onto the table without any fuss. Every set comes on it’s own weighted matching box, and dressed with ribbons that properly match your balloon colours. Additionally, before blowing, every balloon is pre-treated with a special solution that ensures that our balloons are still flying after several days. 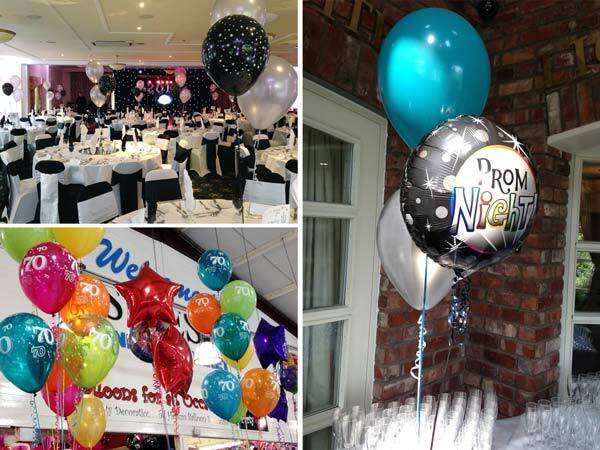 The last thing you want for your special event is for the balloons to be drooping by the evening! You can either pick up your decoration from our shop (open Wednesday, Friday and Saturday in Oswestry market) or, for a small charge, we can deliver to your venue on any day of the week. 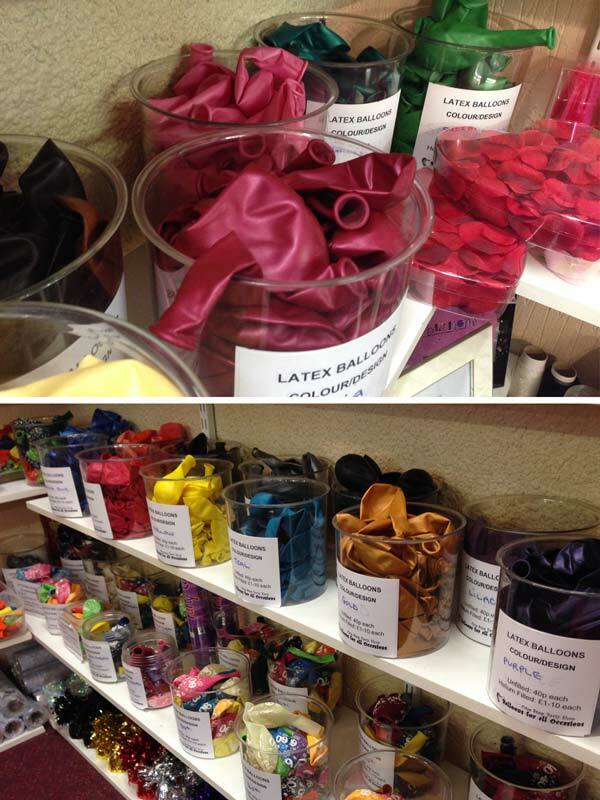 If we deliver, then we’ll also take the time to properly set out the balloons for you as part of the service, so that when you walk in, it’ll be perfect! If you pick up the balloons yourself, they all come in plastic bags to make it easy to transport. Please note that all of our latex balloons are treated with a solution that will increase their flying time, so under normal conditions, will last several days. We also recommend that for the most perfect table set, balloons are best blown on the day of the event.